Welcome to the Q&A with TV critic (also known to some TV fans as their "TV therapist") Matt Roush, who'll address whatever you love, loathe, are confused or frustrated or thrilled by in today's vast TV landscape. One caution: This is a spoiler-free zone, so we won't be addressing upcoming storylines here unless it's already common knowledge. Please send your questions and comments to [email protected] (or use the form at the end of the column) and follow me on Twitter. Look for Ask Matt columns on most Tuesdays and Fridays. How Will The Americans End? Question: I’ve been a rabid fan of The Americans since its debut, and as it comes to the end of its run, I must compliment the writers one last time on some absolutely fascinating characters and plotlines. I can't say that I've ever rooted for these Russian sleeper spies—until Philip (Matthew Rhys) started to tire of it all, drifted away from the murderous schemes of his wife and become appalled as his daughter Paige is drawn into the "family business". But ever since Elizabeth murdered (unnecessarily, I thought) the character played (brilliantly) by guest star Lois Smith, I have really grown to hate her guts. Bringing her daughter into the fray, growing more and more cold-blooded and murderous, blaming the U.S. for all the ills of her mother country—I can't think of another time I've wanted a character in a series to get their comeuppance (in equally lethal form) than I have here. And that's a tribute to the writing and Keri Russell's playing of it all. Matt Roush: I rarely try to get ahead of a story on a TV show I love, although I’ve discussed with other fans in and outside the TV Guide Magazine office that The Americans can’t possibly have a traditional “happy ending,” not for Elizabeth anyway. We already know hers is a lost cause, and as she gets more desperate and lethal—and unforgiving of those who aren’t—any sympathy we might have had for her upbringing and indoctrination has pretty much evaporated. Watching her coach the willing but out-of-her-depth Paige is excruciating yet compelling, and now that she’s trying one more time to get Philip back into the game, who knows where these final chapters will go? The Americans is as good as it has ever been, and I’d be lying if I said I wasn’t approaching the series finale with a lot of dread. The show's executive producers provide some vital intel. Is Abby the Latest Female NCIS Victim? Matt Roush: That’s quite a necrology you’ve come up with, but I have to believe that a character as beloved as Abby Sciuto won’t be added to the list of fatalities. I might have preferred a more graceful exit as well, without the apparent suffering and hospital vigil seen in the trailer, and while your points and examples ring true, it has been well established that the world of NCIS is a violent one for all involved, men as well as women. The CBS show says goodbye to Pauley Perrette on May 8. Memo to the Johnsons: Lighten Up! Matt Roush: I understand where you’re coming from, but I’m willing to give black-ish, its stars and creator Kenya Burris some latitude here to fully explore the strains of a marriage with all of the pain and sorrow that entails. The only humor in this week’s episode was in the flashbacks, making the current estrangement of Dre and Bow even starker and bleaker by comparison. And while it’s not fun to watch, it does feel real, and it’s the sort of thing a relevant and important series like black-ish should be allowed to do. This arc reminds me of how this show follows in the tradition of Norman Lear’s breakthrough comedies of the 1970s, especially All in the Family, which wasn’t afraid to let the real world filter in from time to time. Because we relate to and love these characters, watching them go through a rough patch can leave us shaken. I applaud black-ish for not playing it safe, and I’m expecting that soon enough, though not immediately—because that wouldn’t be real—it will be safe for you to come back home. 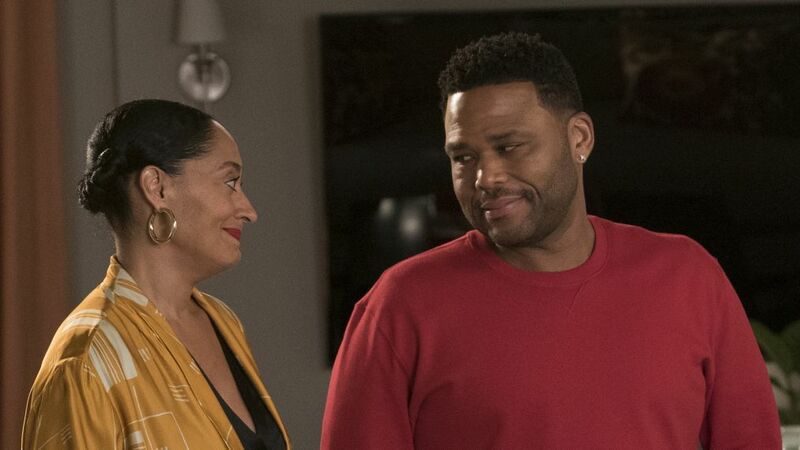 Will Bow and Dre Get Divorced on 'Black-ish'? Series creator Kenya Barris reveals what inspired this storyline. Plus, see fan reaction! Is Westworld Lost in Its Own Brilliance? Question: I am a huge fan of shows conceived with, built on and executed with substantial intelligence and brilliant stories, plots and dialogue. I know that sounds like a “hidden humble brag,” but the correlative point is that I am NOT a fan of intelligent shows that outsmart themselves by half. It is a rare writer/director team that can avoid getting lost in their own story in the process of executing the telling of it. It is the even more rare writer/director who can execute complicated, complex plots and maintain the viewers’ collective attention, comprehension and understanding. Sunday's episode — which took us deep into the origins of the Westworld park — showed us humanity at its most selfish and self-destructive. Matt Roush: I’m afraid I was being a bit facetious in my response last week. I’m not one of those fans who obsessed on solving the mysteries of Westworld before they were revealed in the first season, and I’m happily going along on the mystifying ride this year. The episodes are challenging, but in a good way, and I am thoroughly fascinated by the journey the hosts are on as they continue exploring their past and pursuing their future. What I gathered from Reese’s thoughtful commentary was the cautious fear that Westworld would lose clarity as it kept posing new existential questions and mysteries, and so far, that’s hasn’t happened for me. I’ll counter by saying what thrills me about this season of Westworld is the reinvention and expansion of the premise. Far from blocking itself in, it’s going deeper into the altered and emerging psyches of these artificial humans—and who’s to say that Dolores and Maeve won’t eventually lead their followers out of the park? And his role is just as evil as his character on the AMC hit. About instant renewals: I figure networks are so hungry for any good news these days, I can hardly blame them when they jump on anything that clicks, even if (as happened this week with Roseanne) the frenzy eventually cools. Regarding Paramount Network’s Yellowstone, starring Kevin Costner, which premieres June 20: I haven’t seen the series yet, but it’s way more modern in setting than AMC’s The Son (renewed for a second season, not yet scheduled), and appears to be more about the contemporary challenges of maintaining a ranch in today’s culture. But I’d agree it looks as if the tone, like that of The Son, will be on the darker side of the Western genre. Speaking of Costner, I’m still sorry no one ever made a series version of Silverado, which was a blast. Check out the period drama's costumes and set. Matt Roush: Makes sense to me, too. Wish I’d thought of that. From their first kiss to the proposal. Question: In the last episode of Hallmark Channel's When Calls the Heart, Elizabeth's husband, Mountie Jack Thornton, was killed and they buried him. How awful! He was was one of the main characters in the show. Did the actor who played Jack want to leave the show for some reason or are they just trying to create a new storyline for Elizabeth next season? Matt Roush: I’ll revisit this question about the ill-fated Mountie Jack because, after that episode aired, actor Daniel Lissing and his co-stars spoke about his departure in a special Facebook Live after-show that may help answer your and other fans’ concerns. The quick answer being yes, that it was the actor’s choice to leave the show, and yes, it does open up new storylines for Elizabeth, although fans are understandably upset when things like this happen. Regarding Shark Tank: It’s taking a midseason break, probably a good thing for any reality show, while ABC gives Deception a tryout on Sundays. ABC has already renewed it for a 10th season, so Shark Tank will likely be back in the fall, just can’t say yet on what night. That’s all for now. We’ll pick up the conversation again soon. Thanks as always for reading, and remember that I can’t do this without your participation, so please keep sending questions and comments about TV to [email protected] or shoot me a line on Twitter (@TVGMMattRoush), and you can also submit questions via the handy form below.